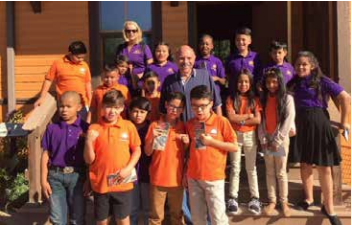 The Community Foundation of Greeley and Weld County awarded a Grant to the CMRM the first week of October to provide after-school and summer activities in a cross-curricular, hands-on learning environment using the LEGO Education STEAM Programs. The curriculum will engage students to become more independent learners helping them to develop 21st-century skills which include problem-solving, comprehension, communication, creativity, and critical thinking. 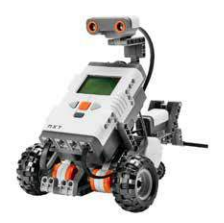 The LEGO WeDo and Mindstorms EV3 software also introduce students to basic programming skills preparing them for the increasing STEAM requirements for their future careers. The program’s funds will be used to support the participation of students using robotics while integrating other academic subjects through collaboration with the local schools. 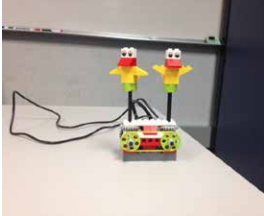 LEGO after-school education curriculums will be developed for grades K-2, 3-5 and 6-8. Also, LEGO summer competitions, classes, and events will be conducted at the museum for all kids from ages 5-12+. 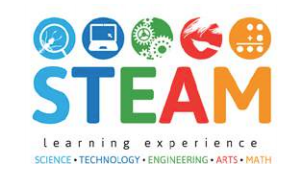 The Core engineering curriculum for 2019 will include an Introduction to STEAM and a STEAM Challenge. These programs will be broad in theme and draw upon a variety of possible projects based on the LEGO Education Program. The program will expand the collaborative relationship that the CMRM has developed with the Weld County Community. The target population will emphasize children located in or near Greeley and within Weld County in grades one through eight. The museum will continue to expand the program based on the growth of funding and volunteers supporting the Youth Program. We are always looking for more talented and dedicated volunteers. Please let the museum know if you are interested in helping the community through your participation in the Youth Program. Over 2,000 fourth and fifth-grade students from Cheyenne, Fort Collins, and the surrounding areas visited Centennial Village in Greeley during its annual Fall High Plains History Festival from September 21 through September 25. Since 1992, the City of Greeley Museums has produced living history festivals for teachers and students, complete with interactive elements and demonstrations illustrating life in historic Northern Colorado and the old American West. 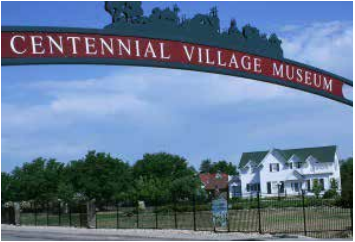 Centennial Village includes a 1910 Union Pacific train depot, a one-room schoolhouse, a replica of a fire station with an antique fire truck, village square, homes furnished with antiques galore, lush gardens, winding pathways, and lots more. 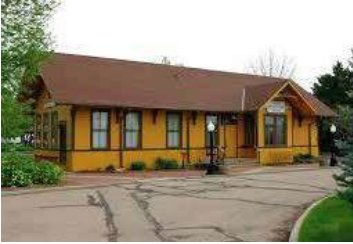 The Colorado Model Railroad Museum supports the History Festival by setting up a model train layout and providing a brief history of the Transcontinental Railroad and the critical role Greeley played in the development of Colorado railroads to the students. The history lessons are given in the Union Pacific Train Station from Burns, Wyoming that was beautifully restored and relocated to Centennial Village in Greeley, Colorado. The Union Pacific hired mostly Irish immigrants, freed African American former slaves, and Civil War veterans. The Central Pacific, which built the railroad from California to Utah, hired primarily Chinese immigrants. Initially, the Central Pacific’s management had also tried to hire Irish workers, but for several reasons, that was not successful. To fill the gap, Central Pacific turned to Chinese immigrants, who were traveling across the Pacific Ocean in increasing numbers, 40,000 in the 1850’s alone. Many of these Chinese immigrants had come to California for the Gold Rush and had stayed. The CMRM history lesson emphasizes the challenges of building the Transcontinental Railroad as the Civil War was ending in the East. The labor required to build the railroad was extensive, and the main laborers did back-straining work for days on end in sometimes brutal conditions. The massive construction project required an entire network of support workers, including medical staff, cooks, and proprietors of provisions stores and living areas. School children in the United States are taught that the Transcontinental Railroad was completed on May 10, 1869, at Promontory Point, Utah when Leland Stanford drove in the Golden Spike. The railroad was built by the Union Pacific building west from Omaha and the Central Pacific building eastward from Sacramento. The western half of the railroad was much more challenging to build because of the rugged mountain ranges and deserts that had to be crossed. The eastern half of the Transcontinental Railroad was easier to build since it started in the Nebraska prairie and was able to follow rivers and natural trails before encountering the mountain ranges. The Union Pacific built the railroad going through Cheyenne to avoid the challenges of the mountains west of Denver. Greeley became a key railroad location for the development of Colorado railroads being halfway between Denver and Cheyenne on the Denver Pacific railroad with its connections to Julesburg and Cheyenne. After the brief history lesson, the visiting school children ran trains on the model train layout set up by the museum while discussing the role Greeley played in Colorado History.